Well, Father forgive me for I have sinned. But salvation comes through confession and I have a confession: I am a Camera Junkie! 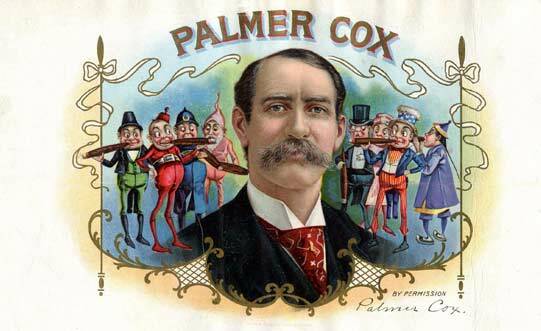 I tried to hide this fact by saying I was a Camera Collector. Not just any camera collector, but a cream-of-the-crop “Canon Collector”. I was one of a noble and valiant few protecting modern treasure from the ravages of time. But, alas, it was a sham, a cover, an alibi. I should have known when I bought that Asahiflex. I told myself it was beautiful, in mint condition and historically important. But it was not Canon. Then there was the Zorki b. But it was so inexpensive and interesting. And then the Leotax. And then the Minolta-35 Model II with that adorable Super Rokkor f/2.8 45mm lens. But fine cameras all, I told anyone who would listen. And look at all the Canons I have! 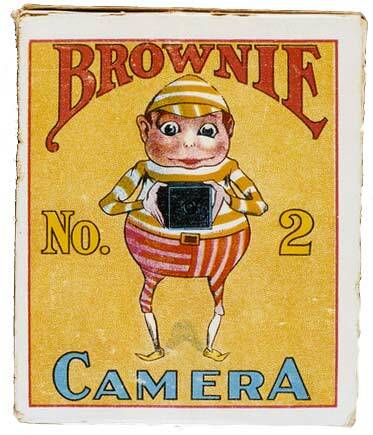 I should have realised the depth of my shame when I bought that Kodak Brownie Hawkeye. And put film in it! 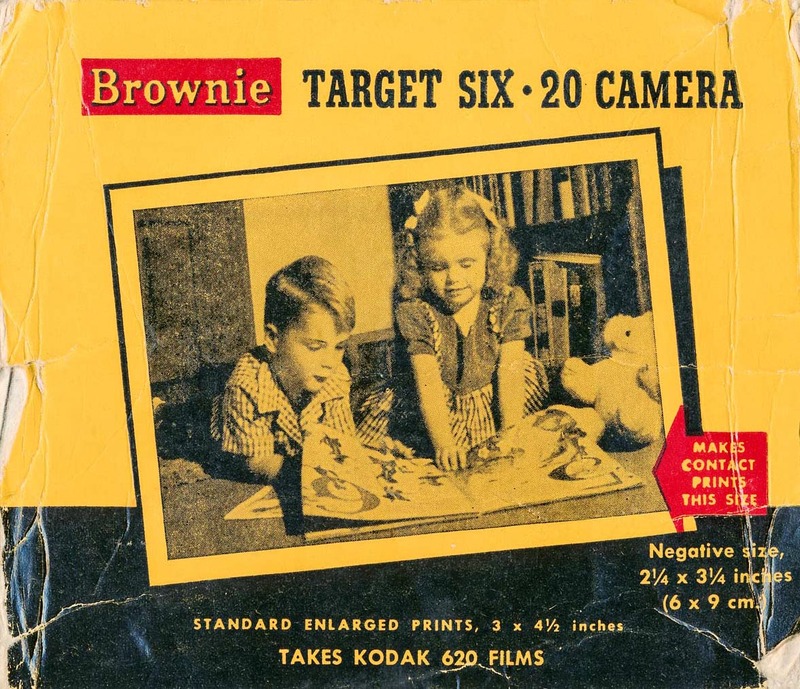 The Brownie Target Six-20 “Made in Canada by Canadian Kodak Co., Ltd. It is in new condition except for the tiniest corrosion from moisture in the air over the years. But the enormity of what was upon me came just this past week. 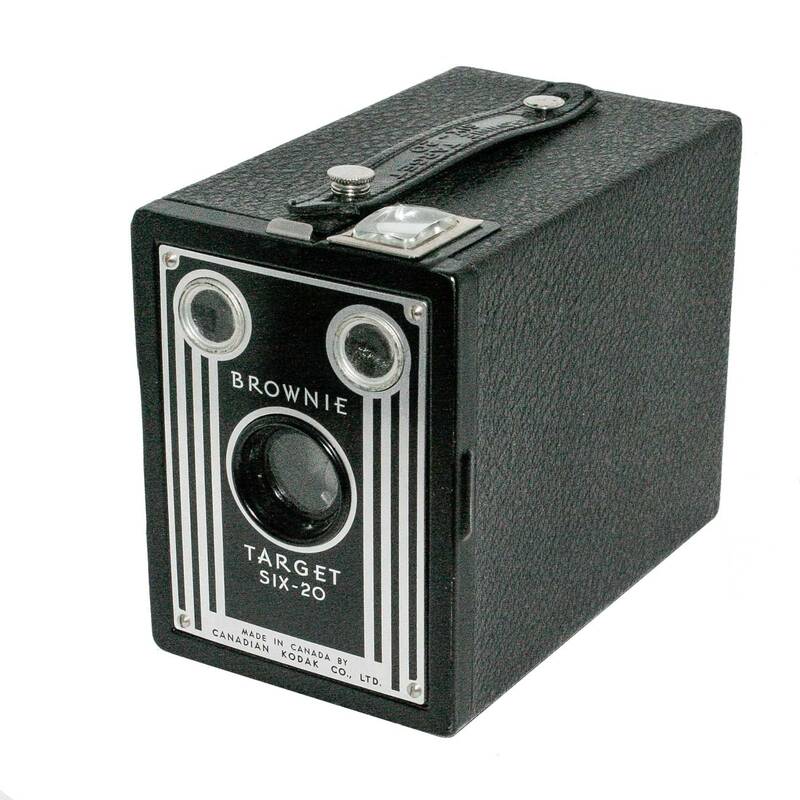 There, in Craig’s list, was an ad for a Brownie Target Six-20 box camera in excellent condition. Well, that sounded like fun. The Hawkeye thing had gone well and it would be fun to try shooting this old camera. 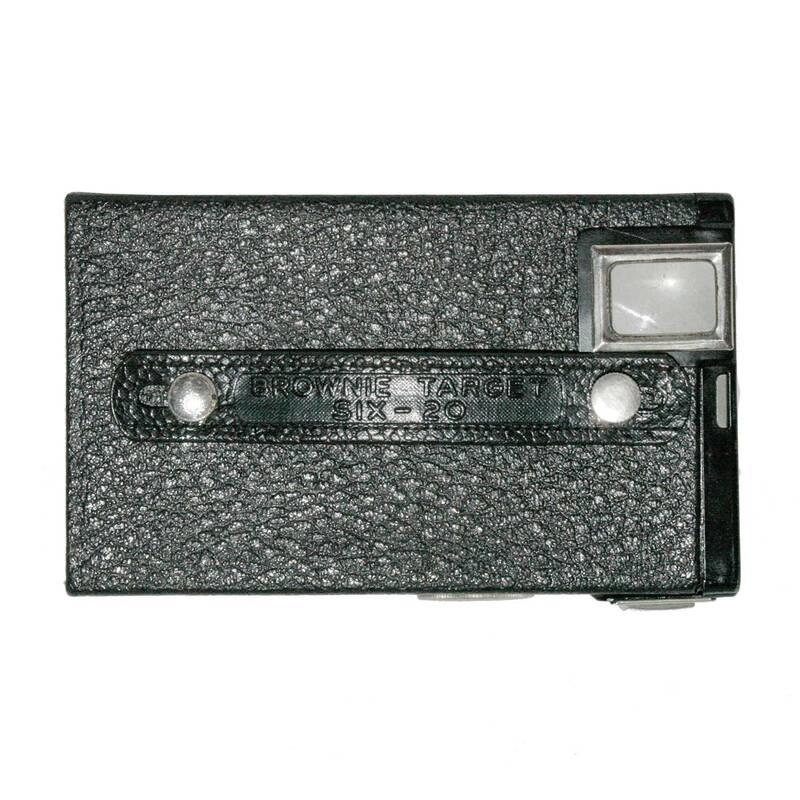 And besides, the earliest camera I remember was a black box camera like this. Maybe not the same model, I don’t recall, but it looked the same. So I e-mailed the seller and made contact. The next day I went to an address in Burnaby and met Rod and his lovely wife Lindy to see this camera. Well, this camera was not just in excellent condition, it looked new out of the box. Well, actually it was still in the box, the original box. And it had the original Instruction manual. I was immediately in the throes of my addiction. My palms began to sweat, my heart raced, my head swam. As I write this the Six-20 is before me on the desk giving me warmth and inspiration. Oh, my Precious! The front of the Six-20 showing the two view finder lenses on top and the camera lens in the center. The Right Side of the camera showing the winding knob to advance film and the “Landscape” viewfinder. 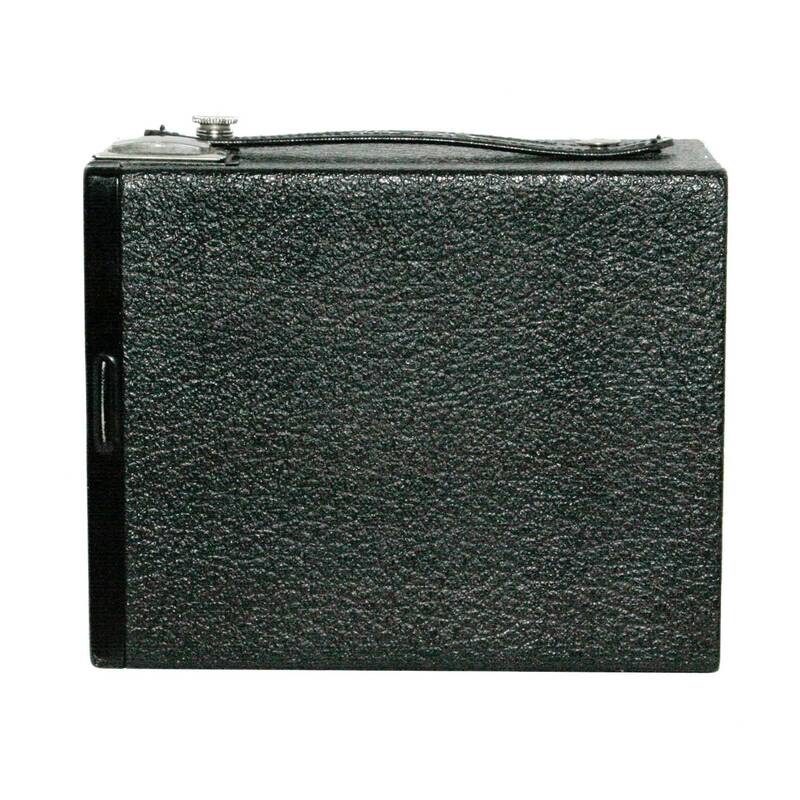 The Left Side is just a plain expanse of black leatherette without a mark or a blemish to be seen anywhere! The Top showing the “Portrait” view finder and the faux leather carry strap / handle with the camera name. Lindy explained that the camera was her father’s. His name was Jim and although he looked after the camera and treasured it, she did not think he used it very much. Well, examining it proves that to be the case. Lindy was of mixed feelings about parting with it as it was her fathers and, although Rod enjoys photography, they know they will never use it. I promised Lindy that I would treasure her father’s camera, that I would use it, look after it, and one day pass it on to someone who would treasure it as much as she. 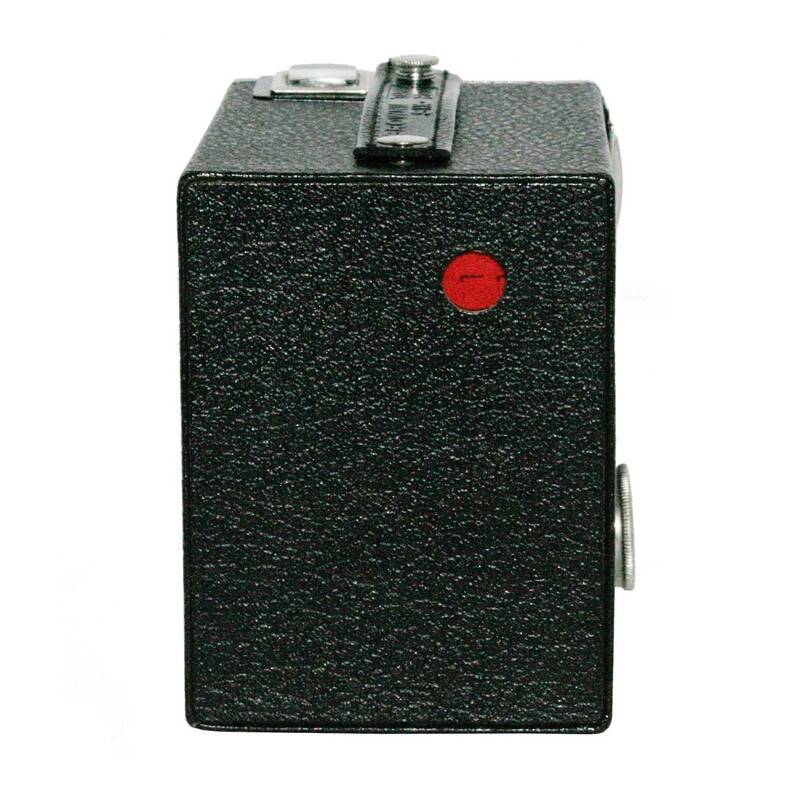 The back of the Six-20 has a red window in which the photographer can read the numbers on the back of the film which tell him how many images he has left. Looking into the back of the camera you can see the simple single element meniscus lens. The opening itself is the “film plane” where the film rests. 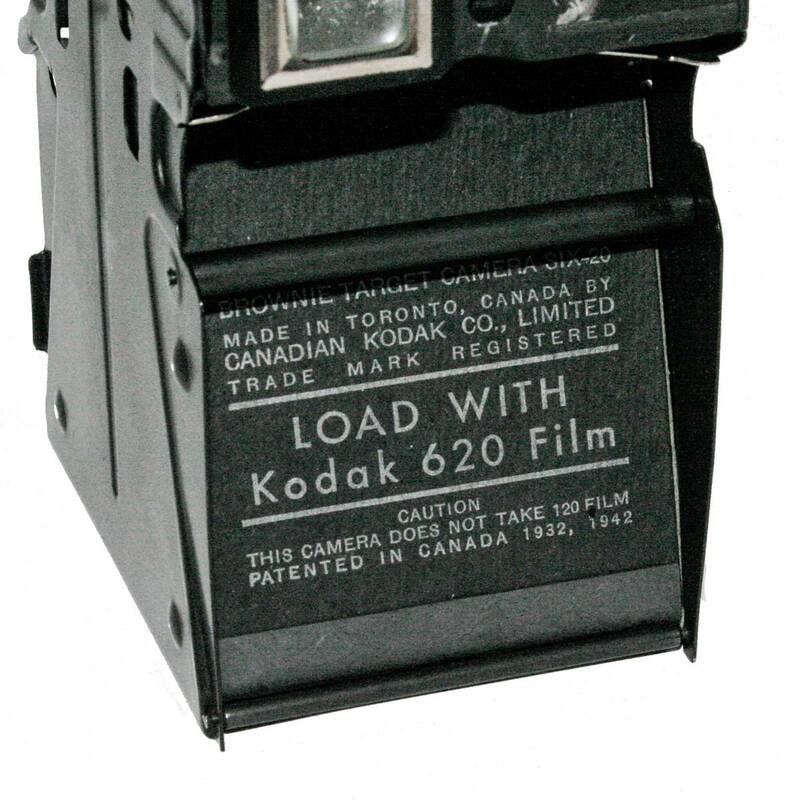 One of the delights of this camera is that it was made in Canada by the Canadian Kodak Company of Toronto, Ontario. That fact is hard to miss when you open the camera. The box was not in great condition. Over the years it sacrificed itself to protect the camera inside it. One end flap was missing and the rest was pretty dog eared. But there is no question what it is! This is the other side of the box. It would be nice if it was in better condition but it is good enough to show you how the camera was sold. And as I said, it certainly did its job protecting the camera for all these years. The camera comes apart for loading of the film. This is all set out in the Instruction Manual which you can see below. 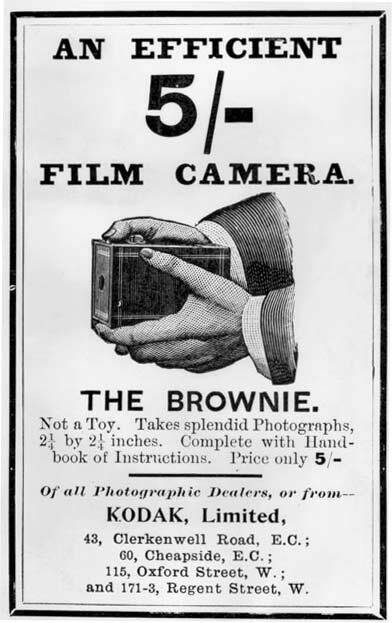 In February 1900 Kodak introduced the first Brownie camera and with this camera introduced the era of simple cheap do it yourself photography. 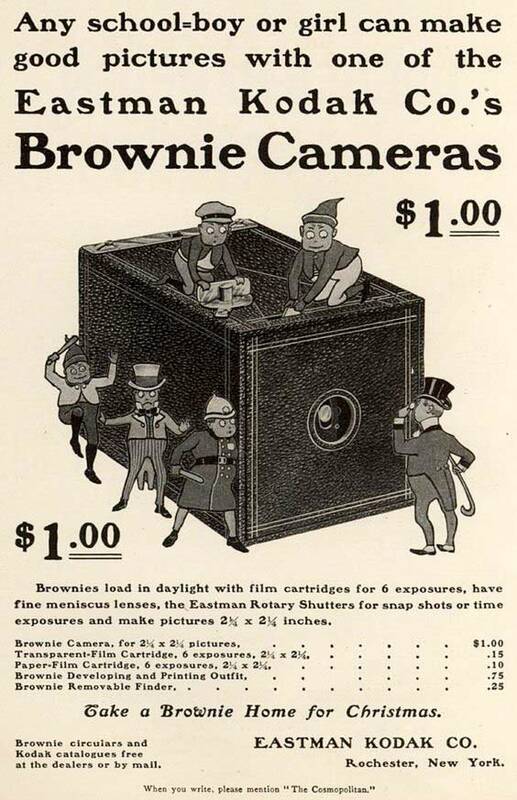 It was a basic cardboard box camera with a single meniscus lens that made 2 1/4 inch square negatives on 120 roll film. 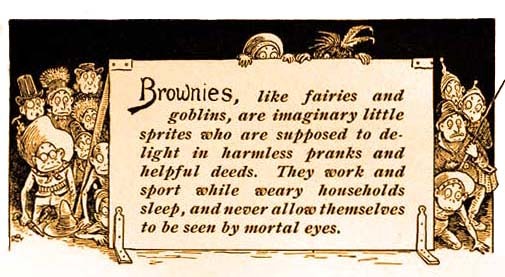 Palmer Cox was a Canadian author and Illustrator best known for his verse books and illustrations on the Brownies, a diminutive elf like people who inhabit nooks and crannies in every home. 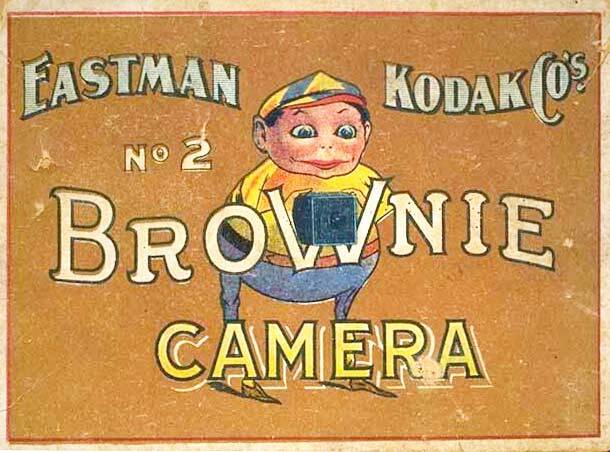 These were immensely popular at the time and it was these little people that gave Kodak the name for their new camera. 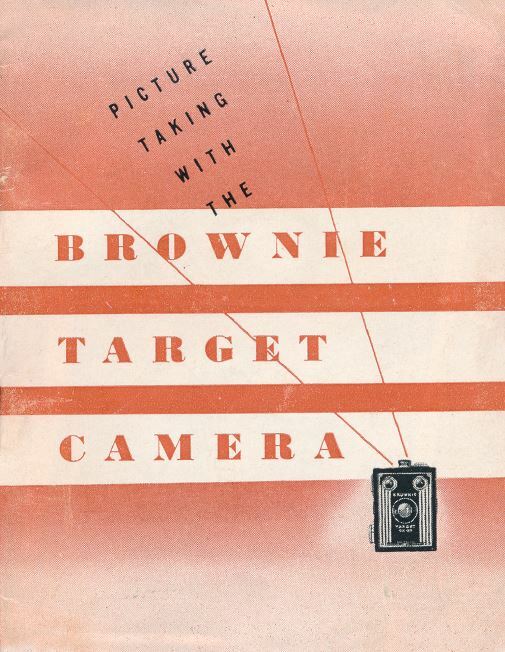 Kodak made many models of camera under the Brownie name into the 1980’s. Literally millions were made. 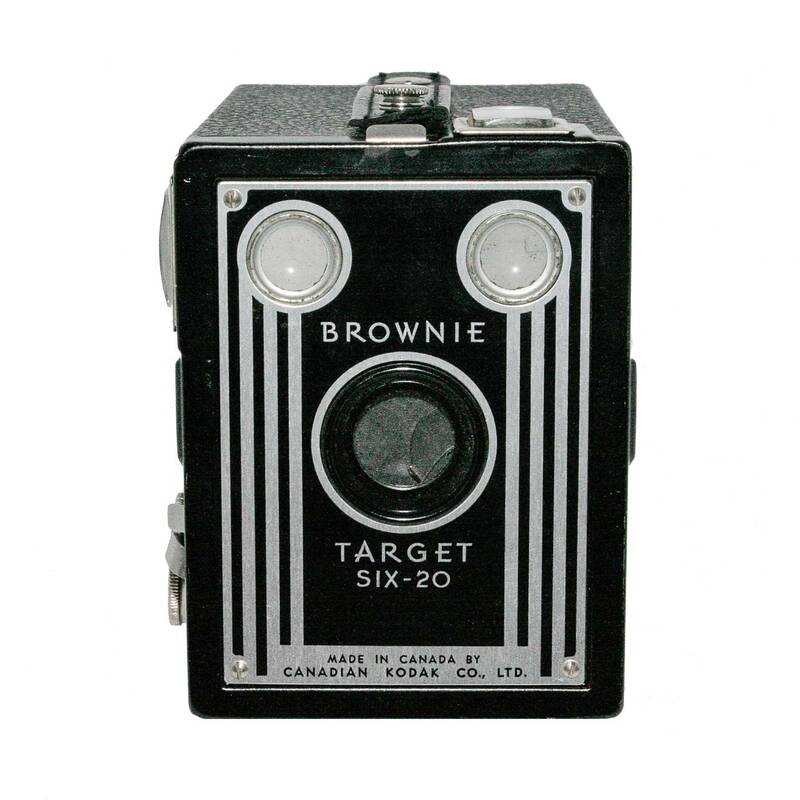 The Brownie Target Six-20 is a “box Brownie” meaning that it is a simple box . 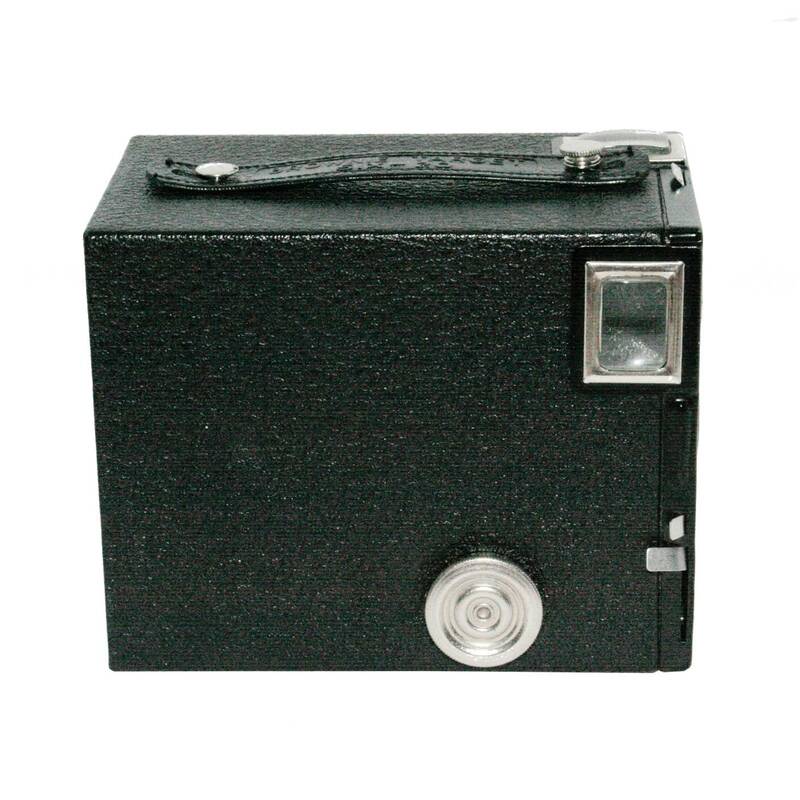 This “box” camera design was produced from 1900 into the early 1960’s with various modifications and names. 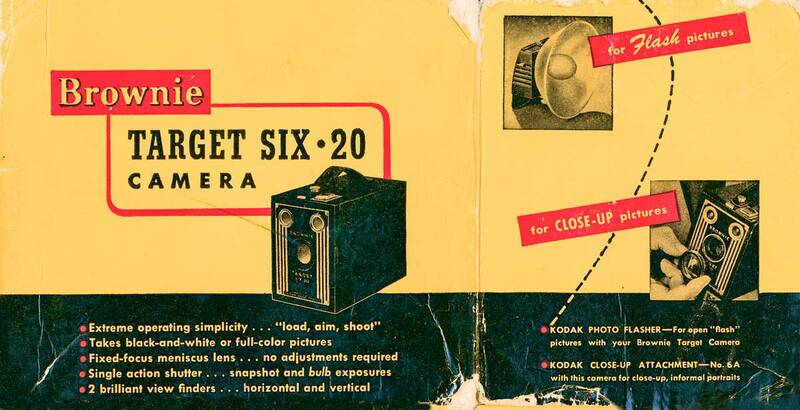 The Target Six-20 was introduced in 1946 and sold until 1952 for around $3.50 USD. It has a shutter speed of about 1/30th of a second. And there is a “bulb” setting which means that the shutter stays open for as long as the shutter is pressed. This model also has an adjustable iris: two settings, about f/16 and f/11. I have yet to use this camera. But I will. 120 film is still available. 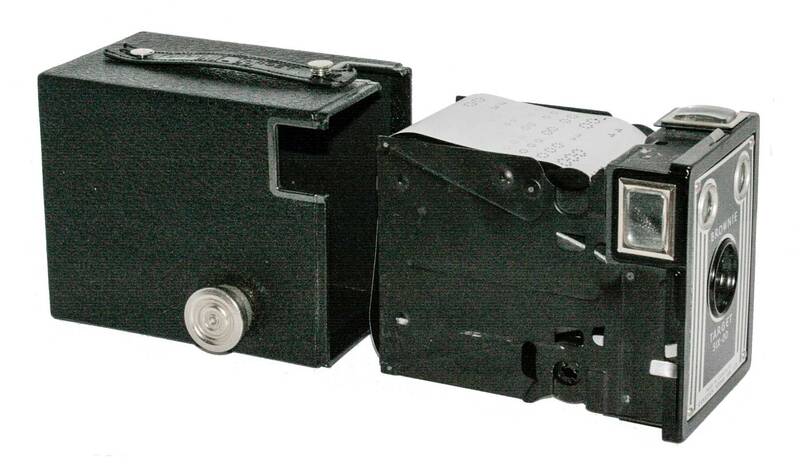 The camera uses 620 film but the trick is that the two films are identical with the single exception of the reel ends; the 620 reel has a smaller diameter flange at the ends of the reel. 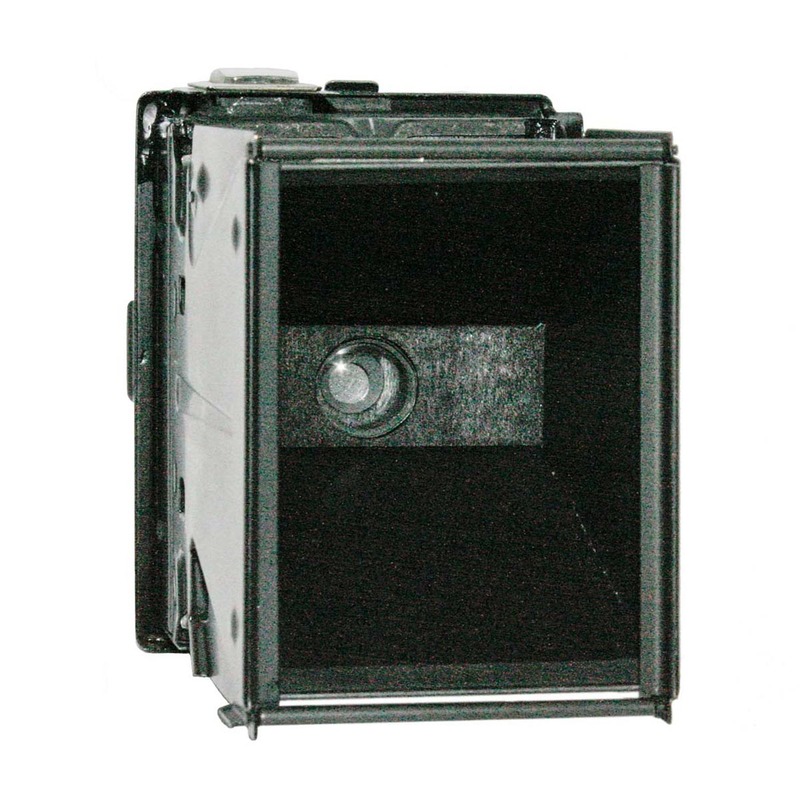 This allows the camera to load film into a smaller space. All you have to do is go into a dark room and re-spool the 120 film onto 620 reels. Once you have done it once, it is easy. But save those 620 reels: they are becoming hard to find. Don’t try to force the 120 reel into this camera. The reels will go in, but they won’t turn. And so there you have my confession; you know my weakness: I just love cameras. Whether it’s a rare Canon FP “Black” or a “box” Brownie, I love it and I get the same excitement from both.